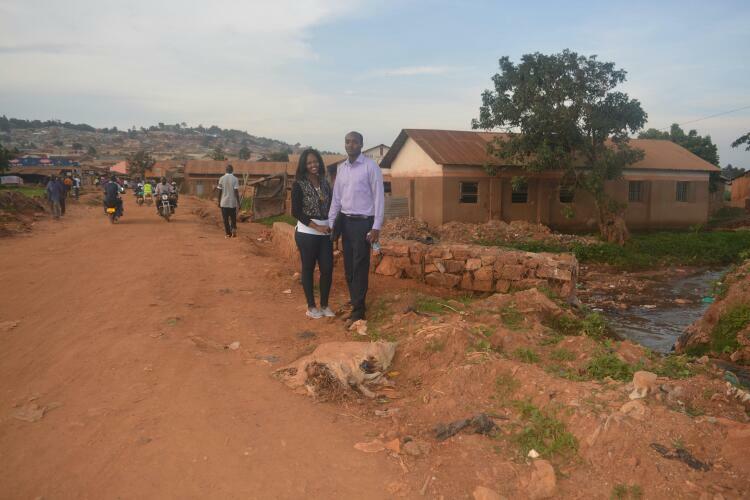 Growing up in the Kasokoso slum in Kampala, brother and sister Cedrick and Vivian Karibwende were affected by the challenges they saw around them on a daily basis. Many families couldn’t afford to send their children to school. Young people, often unemployed and bored, engaged in risky behaviours. Cedrick and Vivian wanted to create opportunities for others in their community. As soon as they graduated from university, they paid the school fees for a few children in the community and made sure they had the school materials they needed. Yet the siblings quickly learned this was an unsustainable way of helping their community, and wanted to find a better way. Then a lightbulb went off. Vivian was a social worker, and Cedrick a research professional with experience in leather processing. They realized they could put these skill sets together to create Fit Feet, a footwear and leather accessories social enterprise which would employ unskilled youth and women in the Kasokoso slum area. They knew their idea had potential. Many young people in Uganda are unemployed, and only 5% of Uganda’s shoes are locally made. 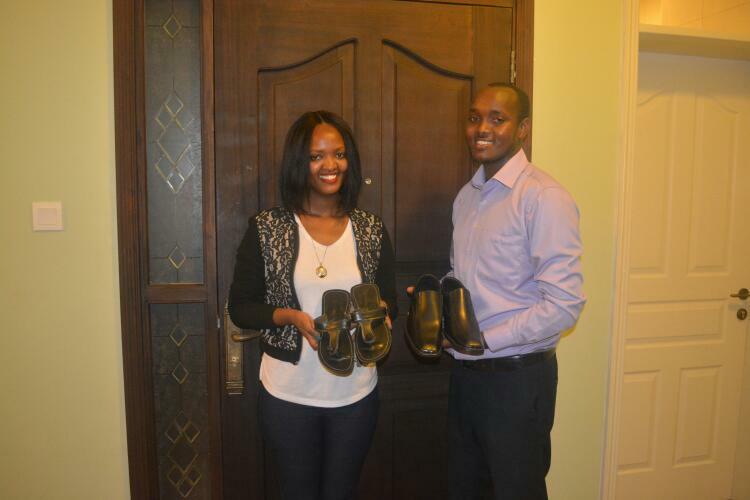 Fit Feet would provide young people with jobs while tapping into the market opportunity for locally made shoes. They had the vision, but didn’t quite know how to realize it. Fortunately, they heard about DOT Uganda’s Social Enterprise Competition and decided to enroll. The competition put their start-up social venture on a path to success. “Going through the competition, especially the sessions about design-centered entrepreneurship, helped us to start focusing more on changing lives, and not just making money,” says Cedrick. With DOT’s support, they identified their target market, talked to stakeholders, and trained youth and women on making shoes. Within a month, they were able to develop a prototype of the shoes. Cedrick and Vivian emerged first runners-up in the social enterprise competition, and were awarded seed funding and ongoing mentorship to get their social enterprise off the ground. They left the competition feeling encouraged and motivated. Together with the Nakawa Vocational Institute, and with DOT’s seed funding, Cedrick and Vivian hope to train a pioneering class of youth and women in shoe manufacturing and leather tanning, who will in turn train other youth and women. Cedrick and Vivian believe their social enterprise is the beginning of the industrial revolution in Uganda. They are confident the young people and women at Fit Feet will become skilled artisans and contribute to an environment where others will consider entrepreneurship and manufacturing as ways to create opportunities. Above all else, they believe youth are the answer to the challenges Africa faces.